Be quiet!, the market leader in PC power supplies in Germany for twelve consecutive years, announces the newest addition to its Silent Base product line: the Silent Base 801. Compared to the smaller Silent Base 601 released in September, Silent Base 801 offers more space, higher versatility and more cooling options. Silent Base 801 utilizes familiar and proven features from previous chassis lines, including Silent Base 601, to achieve the quietest cooling and best-in-class usability. Silent Base 801 will be available with highlights colored in orange, black or silver, and either with a tempered glass side panel or a sound-insulating left side panel. 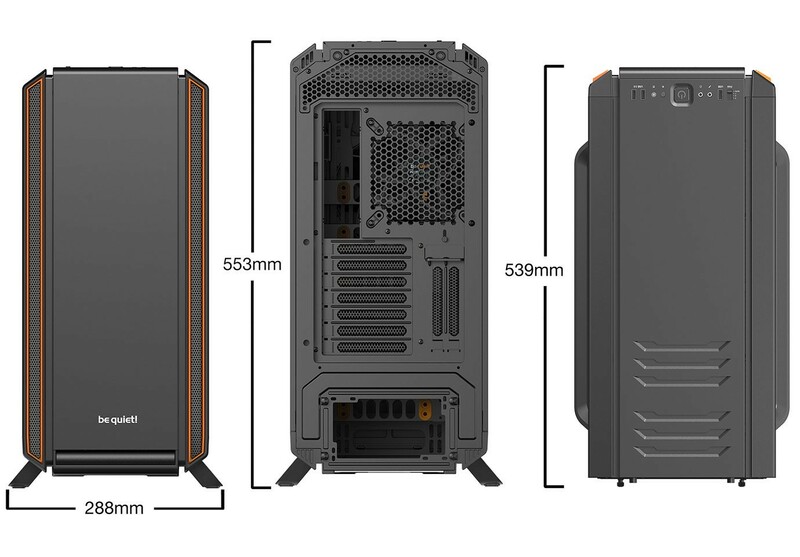 With larger dimensions than Silent Base 601, Silent Base 801 provides even more space for high-end components, such as water cooling and large graphics cards. Its motherboard layout is invertible, providing additional airflow paths and enabling a great view from any angle when the case is sitting on a desktop surface. 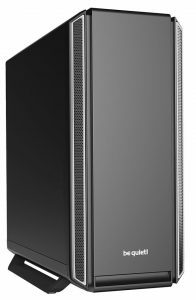 Its side panels are easily removed with the push of a button for fast and efficient hardware installation, while the PSU shroud provides a neatly structured interior layout with space for a dual HDD cage. Three single HDD cages come preinstalled in the main chamber, with three additional mounting slots for SSDs positioned at the back of the motherboard tray. Out of the box, Silent Base 801 supports up to five 3.5″ or eleven 2.5″ drives. PSU installation is greatly simplified by using a bracket inserted from the rear of the case, while dust filters, located at the bottom and front of the chassis, are easily removable from the front. 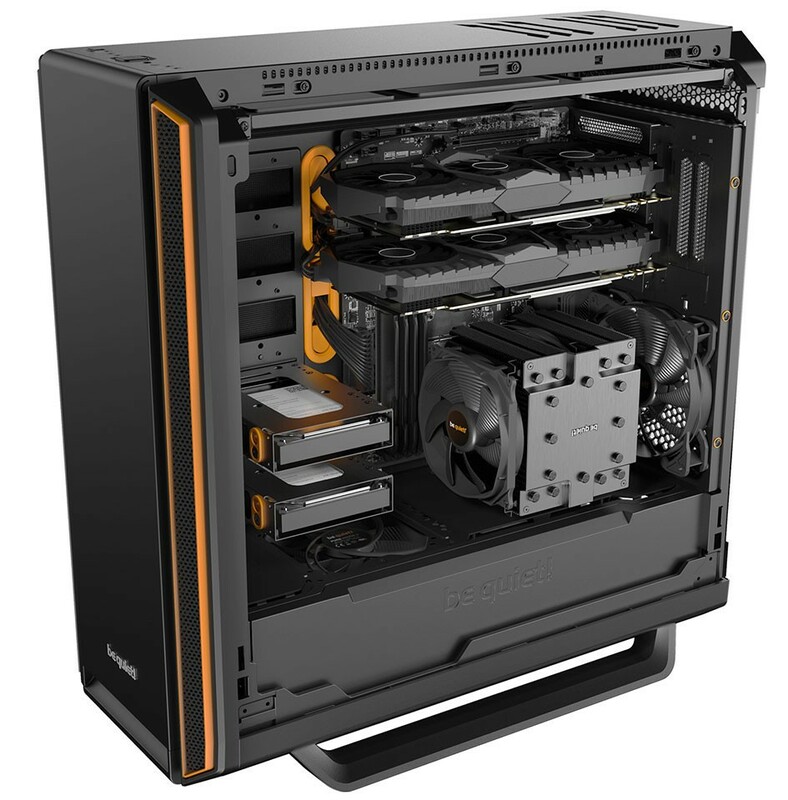 A mounting frame at the top of the case conveniently slides out to the side, simplifying the installation of 120mm, 240mm or 360mm radiators, or to accommodate up to three 120mm or 140mm fans. In the front, Silent Base 801 supports a radiator of up to 420mm in length.